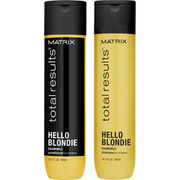 Strengthen weak strands with the Matrix Total Results Re-Bond Conditioner, the final step in the Re-Bond routine. 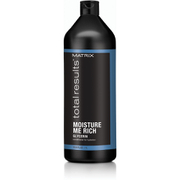 Powered by a host of nourishing ingredients, the silky formula helps to smooth the hair fibre to reduce frizz and improve manageability, while gently repairing the damage caused by heat styling or chemical treatments. Locks are softer, shinier and stronger. 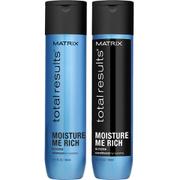 After the Re-Bond Shampoo, apply to wet hair. Massage. Rinse. Once a week, layer on top of The Re-Bond Pre-Conditioner. Massage. Rinse. Style hair as usual. In case of contact with eyes, rinse them immediately.